This recipe was supposed to be published a couple of weeks ago, but you know, life happens. I actually just got back from Norway a few days ago, from a workshop that I hosted with Krissy and Liv with the help of Sam and Kati, at Melgården which we visited back in December. It was amazing seeing Melgården in summer, but more about this in an upcoming post.. I know that the rosehip bushes are probably no longer in bloom, but I know I’ve seen other rose bushes in bloom that would be perfect to use for rose petal sugar as well. This is sort of a non-recipe recipe, and you can totally wing it with the amount of sugar and rose petals. Do make sure to read the notes about the recipe when you scroll down though! I’m SO glad I have several ziploc bags of this stuff in my freezer now. I’m thinking, cookies? Ice cream? Some notes about this recipe: Don’t use roses from the florist, they’re usually sprayed and not very fragrant either. 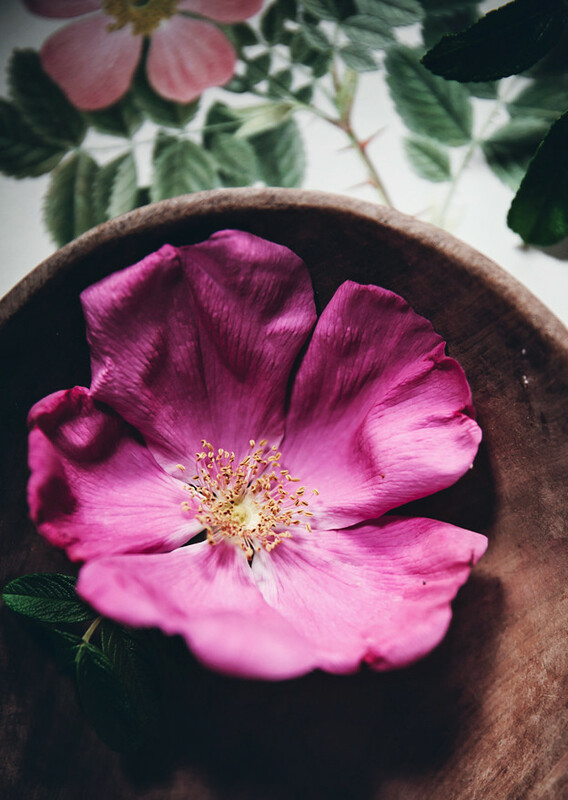 Use rose petals from wild growing rosehip bushes or from fragrant roses that grow in your garden. There is no need to pick the whole rose, simply pick the petals (the whole roses in my photos are just for the photos!) and leave the rest. I didn’t wash the petals, I placed them on a piece of kitchen paper to get rid of any bugs or dirt. 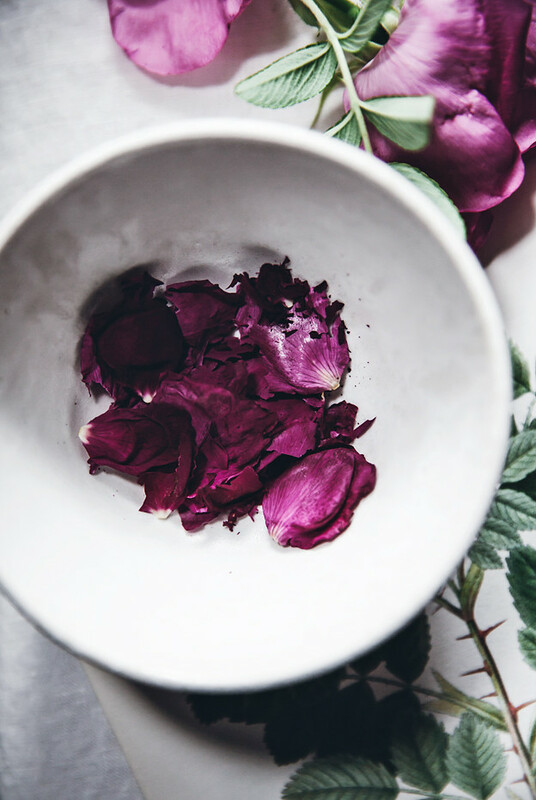 If you want to, you can wash the petals – just make sure they’re dry before using them. I store the sugar in the freezer as I feel like it preserves the flavour and fragrance longer. This sugar is perfect for sprinkling on cookies, in tea, cocktails or simply use as you would use regular sugar in baking. 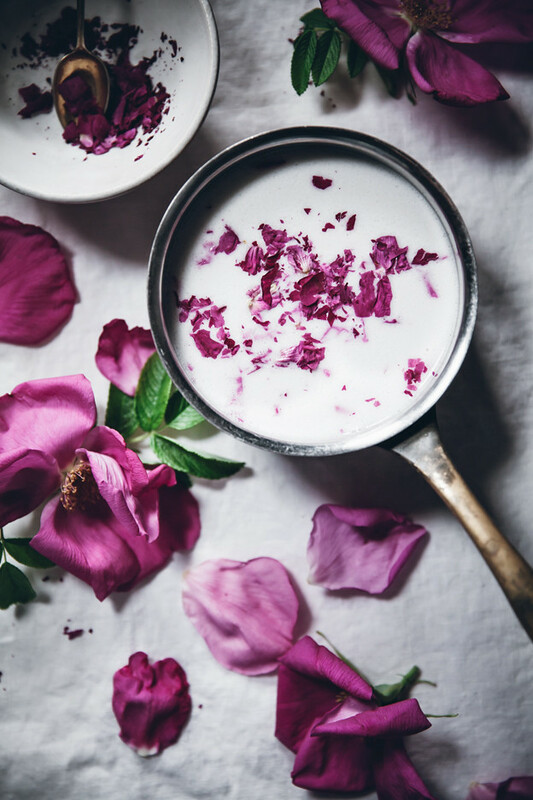 Combine sugar and rose petals in a blender or food processor and pulse until the sugar is even in color. Transfer to a ziploc bag or airtight container and place in the freezer. my game since then. Promise. We are eating more and more vegan at home. Except for cheese. I love cheese. This ice cream though, never in my life did I expect it to be so creamy and delicious with so few ingredients. I’ve had some bad experiences with rose flavored things in the past, which I usually find way too “soapy” for my taste. 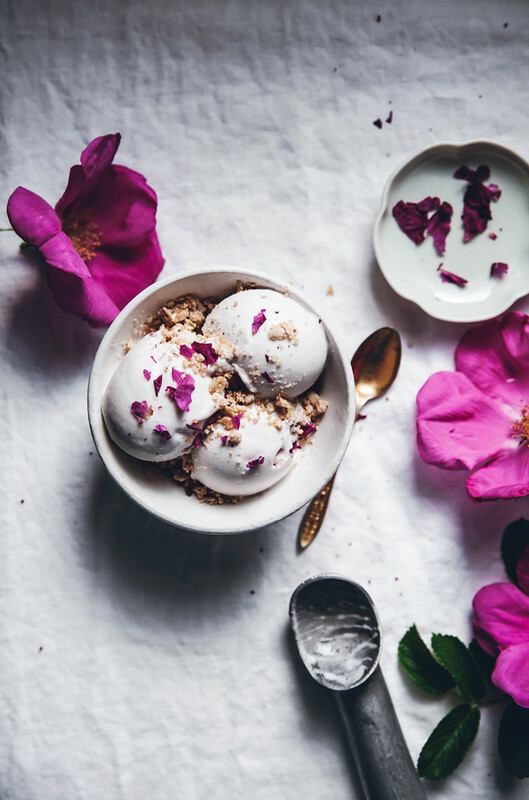 This ice cream has a lovely floral note and the rose flavor is not overwhelming. 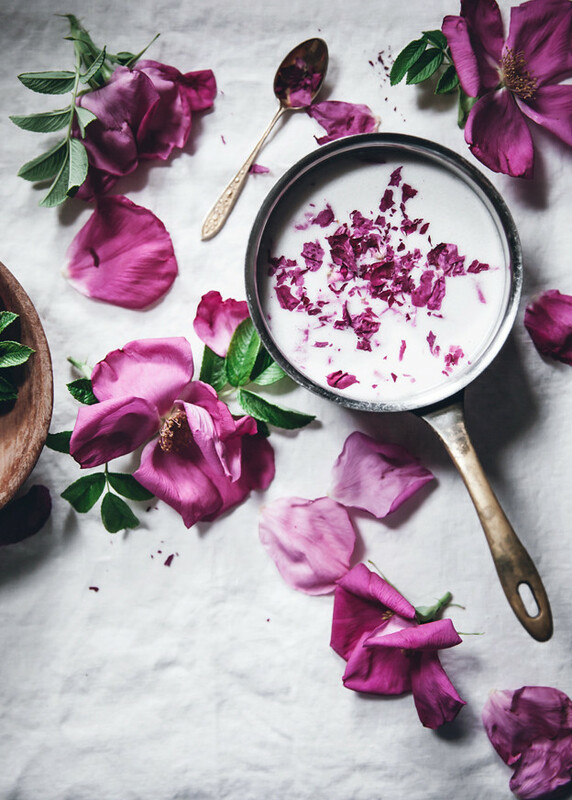 If you want more rose flavor, you can always add more petals to your liking or even a little rose water. Of course, you also have to be very into coconut to like this ice cream. Don’t miss out on the cardamom crumble topping, which adds a lovely crunch. When using fresh roses for baking or cooking, absolutely make sure they are unsprayed! The ones you buy at the florists are usually sprayed and shipped a long way. If possible, pick from your own garden or in an area where it’s ok to pick flowers. You can also buy already dried rose petals, just make sure they are for culinary uses. When choosing roses, the darker shade you go for, the more pronounced flavor. -Make sure to use unsprayed roses! 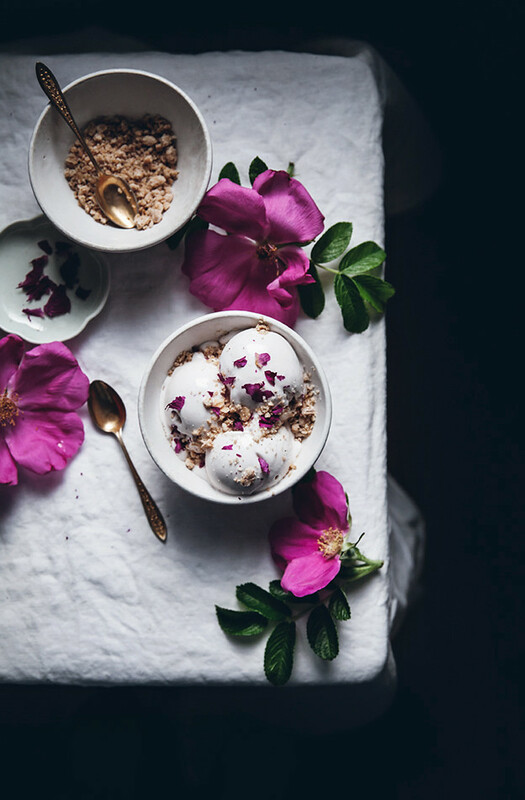 If you buy dried rose petals, make sure they are for culinary uses. -Drying rose petals in the microwave is a very, very quick way to do it. You can do it in the oven too on a low temperature, but it will take longer. 1. Pull the rose petals off the stem and place them in a single layer on a paper towel lined plate. 2. Microwave on high for 60 seconds. 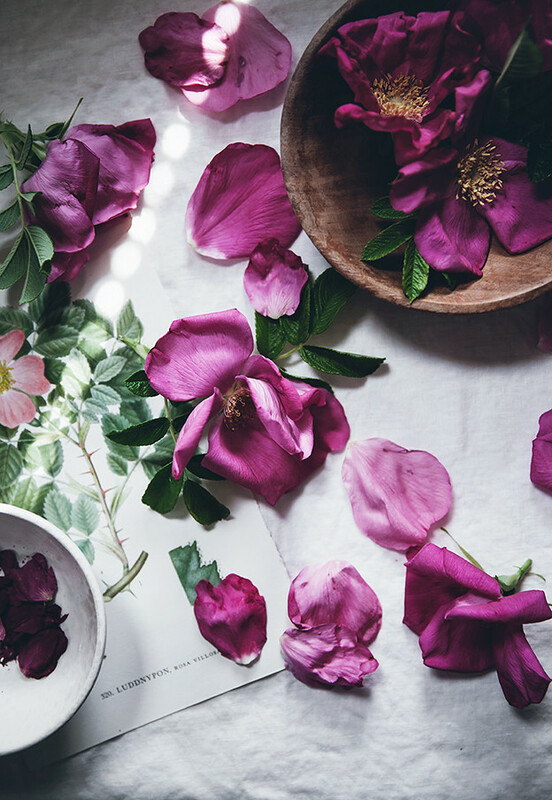 The petals will likely still have some moisture in them so what you need to do is to microwave an additional 30-60 seconds, or until the petals are completely dry and crispy. Beware when removing the plate from the microwave as the plate will be very hot! 3. Spread petals on a cookie sheet and let them airdry for 6 hours if needed (I used mine right away, too impatient). Store in an airtight jar. 1. 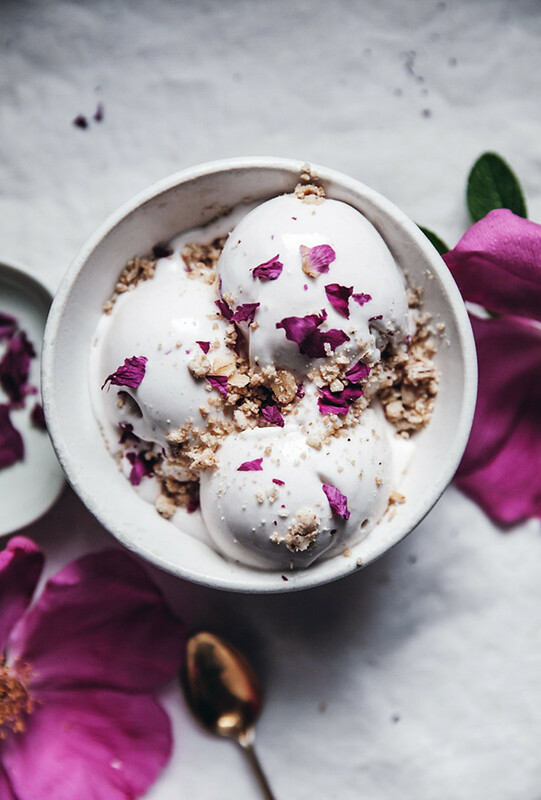 Place coconut milk, salt, vanilla bean+seeds, sugar and rose petals in a sauce pan. Heat until mixture is hot but not boiling. Stir until sugar is dissolved. Remove from heat and put a lid on the pan. Let mixture steep for 30 minutes. 2. Strain through a fine wire sieve into a bowl. Cover bowl with plastic wrap and refrigerate until completely cool. firm enough to scoop, approximately 2-4 hours. If the ice cream feels hard after some time in the freezer, remove it from the freezer 15 minutes prior to serving. it out and whip it with an electric mixer to break up the ice crystals. Repeat 3-4 of times during the freezing process. Freeze until firm enough to scoop. It won’t be exactly the same as when you use a machine for churning but it’ll still be delicious! 2. Place sugar, flour, salt, oats, cardamom and coconut oil in a bowl. Using your hands, mix together until crumbly. 3. Spread on a baking paper covered baking sheet and bake for 8-10 minutes. Let cool, then serve with ice cream.